Description: A Deathisland variant featuring new textures, modified bsp structure, modified scenery, H3 HUD, new Halo Reach style effects, weapons and vehicles. 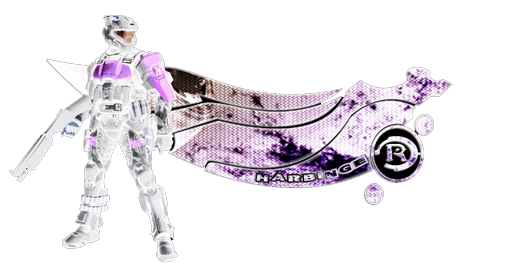 Thank you to all Players who attended Event Horizon Session #50. 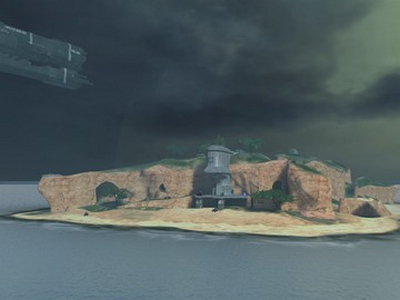 Blackisland is a variant of Death Island Map with visually attractive Halo Reach Styled "Parched Ground" Scenery, offering Custom Weapons and Custom Vehicles. The Map Textures are excellent, and it's a nice twist seeing the usual Lush DI Greenery transformed to that of Cracked and Baked Dry Savannah, but quite amusing seeing a very Stormy Sky looking like it's immanently about to pour down with rain. With all the extra Terrain features added Blackisland almost looks like a New Map, but with the familiarity of the original Stock Map. All Game Types are supported, CTF, KOTH, RACE and Slayer Game Types are recommended. Sniper Juggernaut is also fun. There are no Ghosts or Tanks, but all the other vehicles are good although heavily overpowered and unbalanced. Banshees are extremely fast. The H3 Weapons and especially the Nades are fun to use. This Event saw a Maximum of 8 Players, (averaging ~ 6 ) on the Map, (it would have been better to have had more) but all the same it was a great Session lasting over 2 Hours. Blackisland, (dependent on Game Type) is recommended for 6 Players upwards. Personally I enjoyed Playing Blackisland and definitely would play this map again.